Occupational safety and health is a cross-disciplinary area concerned with protecting the safety, health and welfare of people engaged in work or employment. 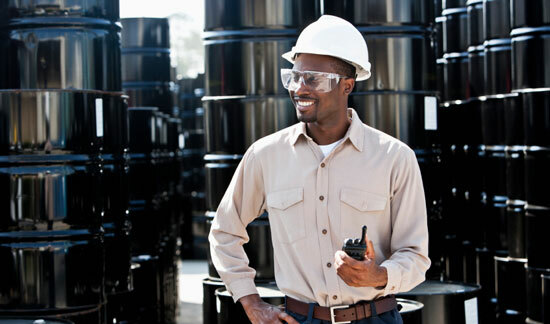 The goal of all occupational safety and health programs is to foster a safe workingenvironment. As a secondary effect, it may also protect co-workers, family members, employers, customers, suppliers, nearby communities, and other members of the public who are impacted by the workplace environment. Employers, by law, must provide employees with a safe and healthy working environment. Occupational Health and Safety in Namibia is governed by the Labour Act Nr 11 of 2007 in conjunction with Regulation 156, ‘Regulations Relating to the Health and Safety of Employees at work’. A comprehensive health and safety training programme in each workplace will, among other more obvious benefits, help workers to recognize any early signs/symptoms of potential occupational diseases before they become permanent conditions, to assess their work environment, and to insist that management make changes before hazardous conditions can develop. See more on the benefits of training. The Namibian Employers' Federation (NEF) offers a range of targeted awareness training as well as external training in the area of Occupational Health and Safety. See more on our training.